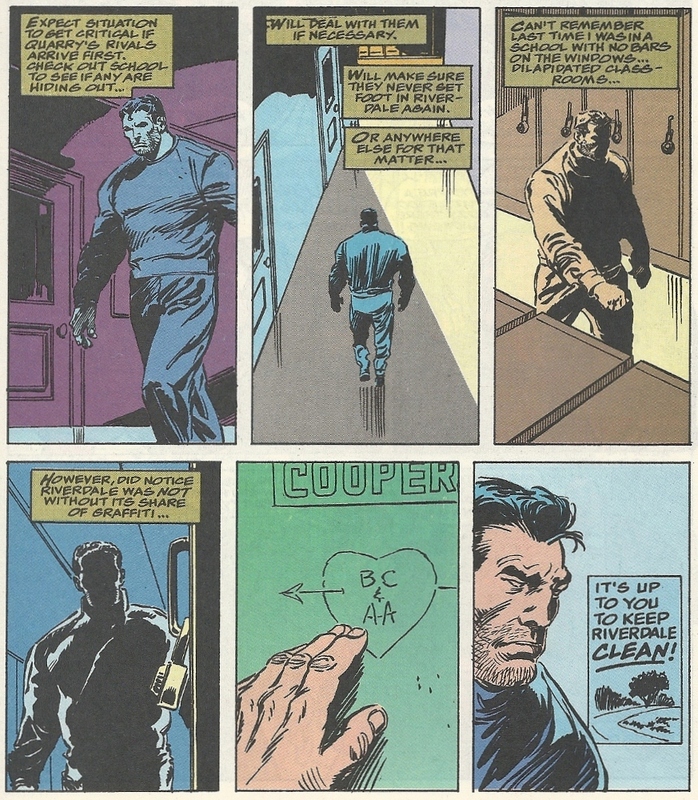 There are times when I want to wrap my arms around comic books in a rugged, manly embrace. This is one of those moments. 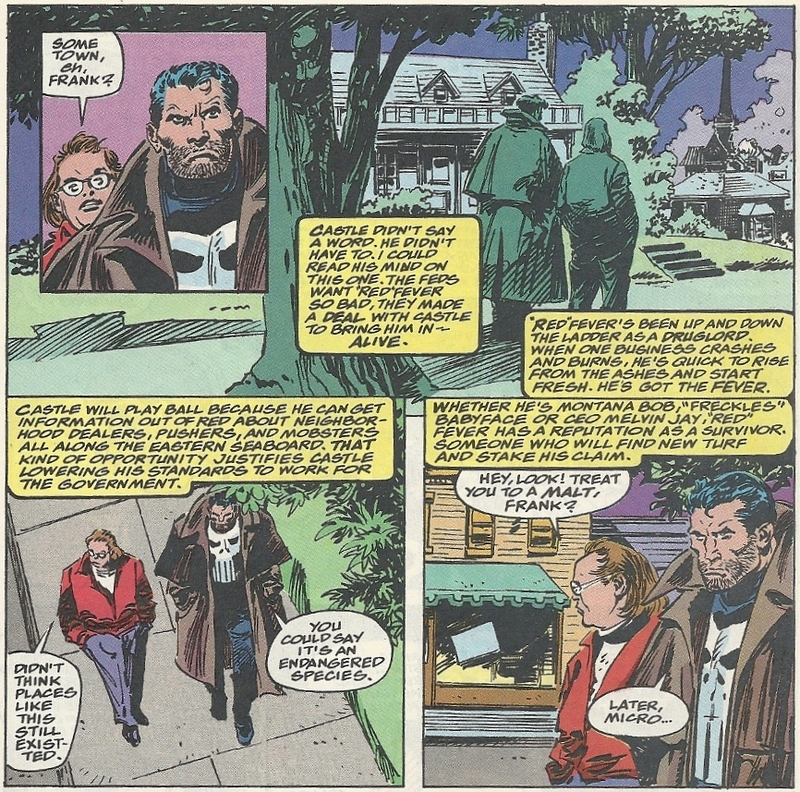 I’ve made my general distaste for the Punisher clear before. Not my cup of tea. 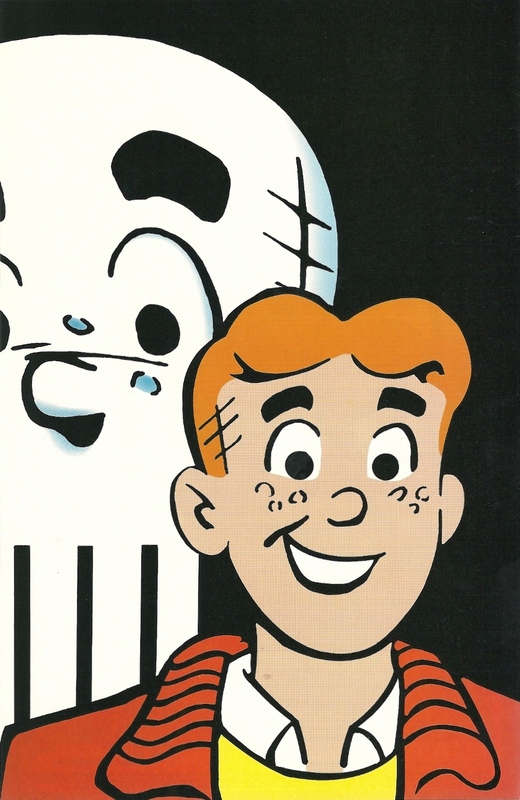 That aversion, though, is dwarfed by my apathy towards Archie and his Riverdale posse. My knowledge of that universe is spotty at best. I didn’t know his last name was Andrews until I read this book. I sometimes have trouble remembering which is the brunette and which is the blonde (by the way, Veronica every day and twice on Sunday). I have the mildest bit of admiration for Jughead and his gumption, which allows him to walk around 24/7 with a Burger King crown perched atop his dim skull, but that’s about as far as any affinity goes. And that brings us to this bit of stupendousness, which I’ve long known of but only recently added to the archives. 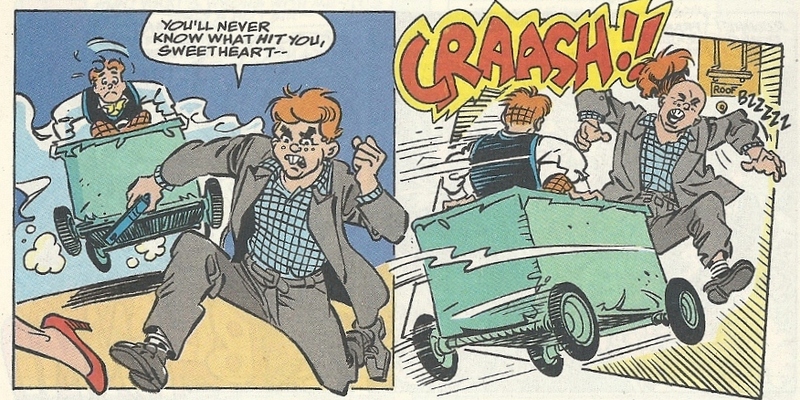 Is it wrong of me to want Mr. Castle to rough up Archie and his cheerful gang? No, right? 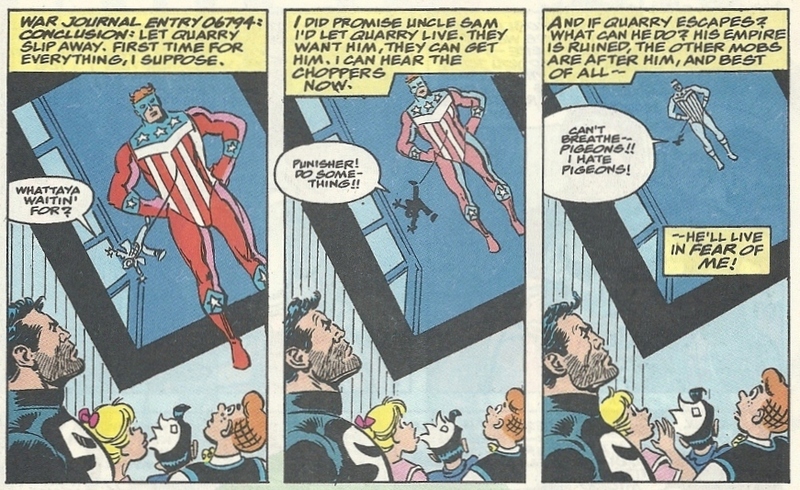 I hope not, BECAUSE I WANT THE PUNISHER TO SLAP THAT FRECKLED PUSS SILLY. I want him to give them the same treatment his movie self gave those douchey Parkour dudes. Don’t let me down, Frank. Even the coldest soul has to chuckle when they see that. 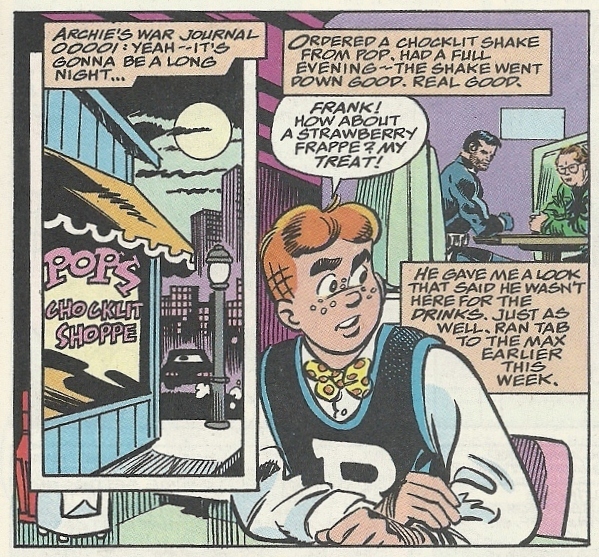 Yes, the words “Archie’s,” “War” and “Journal” were just used consecutively. Gah! He’s one of them now! 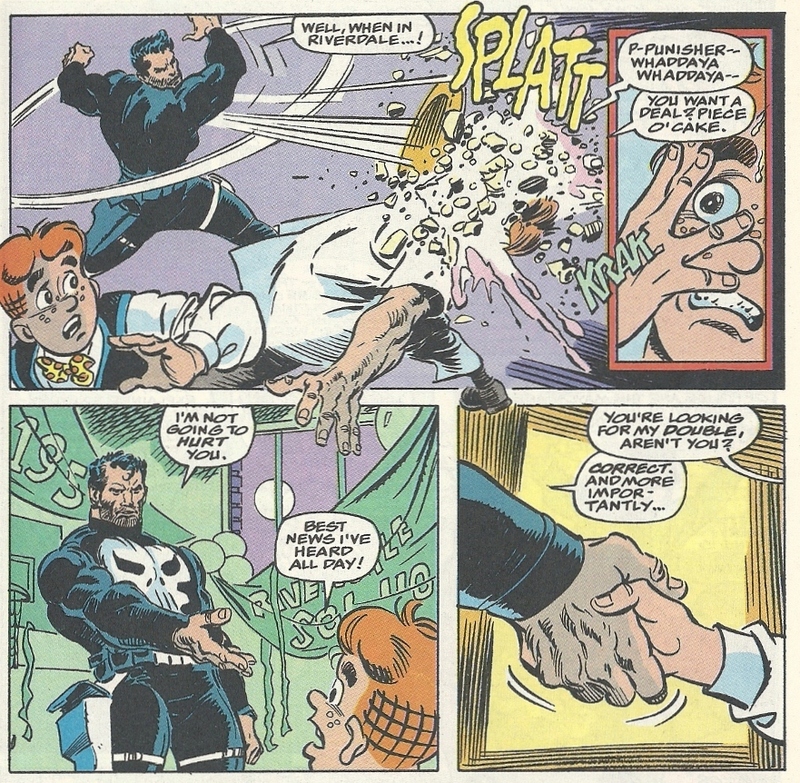 Having Archie and the Punisher cross paths is an irresistably stupid idea. It’s one of those combinations that’s so odd it’s almost impossible for it not to work. And, in line with that, this comic is as good as it could possible be. 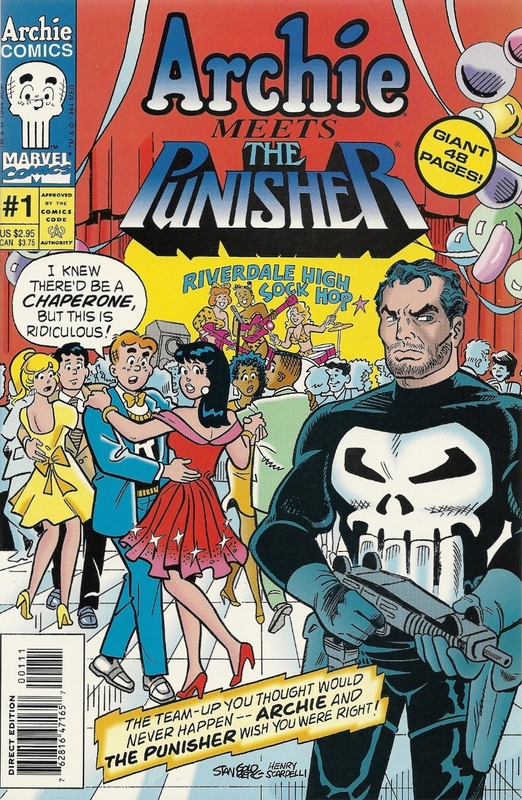 All the notes are hit with aplomb, and one has to give credit to the artistic crew for meshing (or not meshing, as the case may be) the wildly divergent aesthetics of the Punisher and Riverdale. 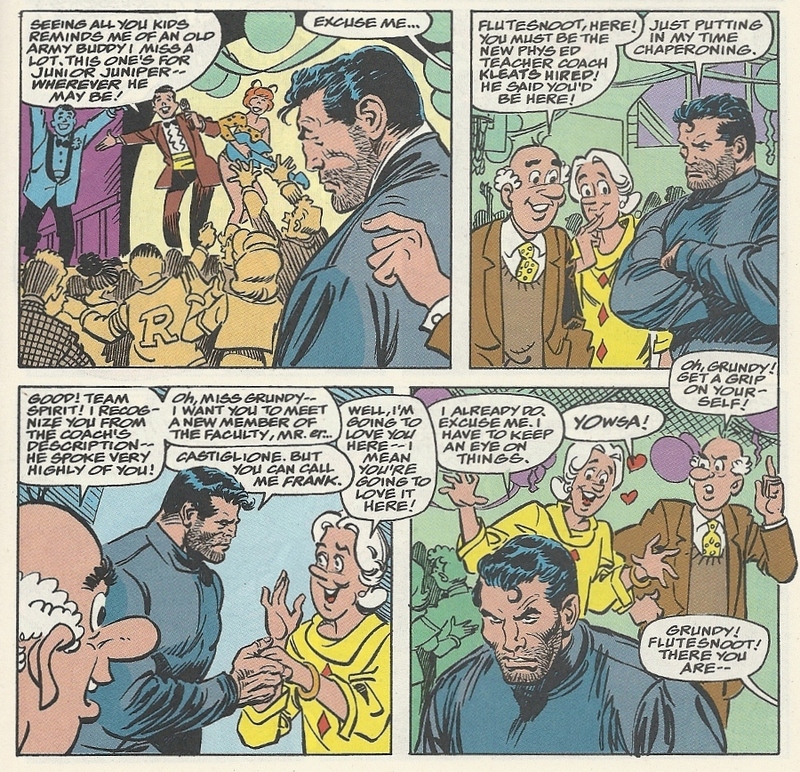 I don’t know if I’ve smiled this much while reading a comic book since the “Conan in the Present Day” story. You know what? It’s even enough to make me soften up on poor Archie. Oh my gods; a giant balloon of The Shield. That made my day. There are some really nice Easter Eggs throughout this thing. Definitely worth a look for that alone. 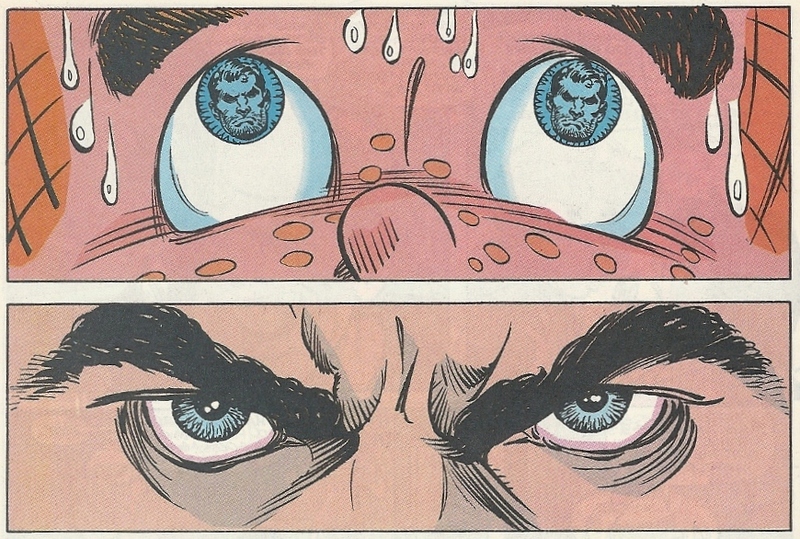 The Punisher’s stubbly mug reflected in Archie’s wide-open eyes is so perfect. Combine that with the framing of the freckles and the grid-pattern hair, and it’s the take-away image of the book. I love this crossover so much that I’ve long felt that if I had to rank the crossovers, this would be in the top 2, and I’m not sure which slot it would fill. 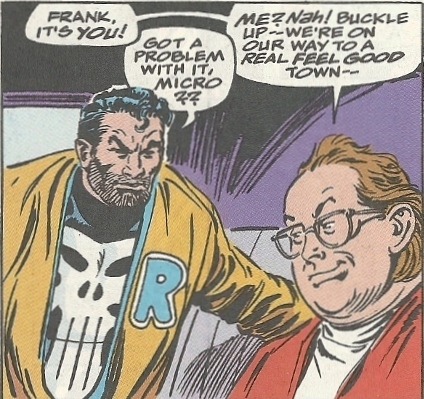 I love the Riverdale crew and I can’t stand the Punisher – ther ewas no way this should have worked.